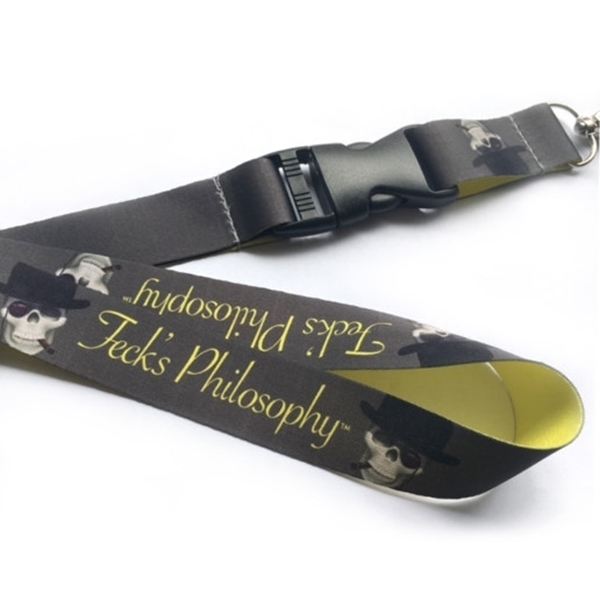 A feck's philosophy branded lanyard. Keep your keys safe with style, using this fantastic lanyard from Feck's Philosophy. Easy release plastic mechanism with metalic key holder in the edge.